An autonomous car, also known as a un-crewed vehicle, driverless car, self-driving car and robotic car, is an autonomous vehicle capable of fulfilling the main transportation capabilities of a traditional car. As an autonomous vehicle, it is capable of sensing its environment and navigating without human input. Robotic cars exist mainly as prototypes and demonstration systems. ​Autonomous vehicles sense their surroundings with such techniques as radar, lidar, GPS, and computer vision. Advanced control systems interpret sensory information to identify appropriate navigation paths, as well as obstacles and relevant signage. By definition, autonomous vehicles are capable of updating their maps based on sensory input, allowing the vehicles to keep track of their position even when conditions change or when they enter uncharted environments. 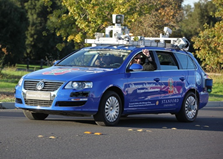 Junior, a robotic Volkswagen Passat, at Stanford University in October 2009. Self-driving cars are a rapidly evolving technology which only a few years ago was still considered science fiction. What are the benefits? Will it be safe? Will it actually make the roads safer? There are four good reasons that make perfecting driverless car technology something that we should push for, but is society ready for it? We may find out sooner than later. One of the long-term goals of the autonomous driving movement is to connect vehicles with each other as well as the roads themselves in a way that are not possible with human drivers. Being able to use drive times to do work, spend time with family, or simply relax is a clear potential benefit of having an autonomous car. 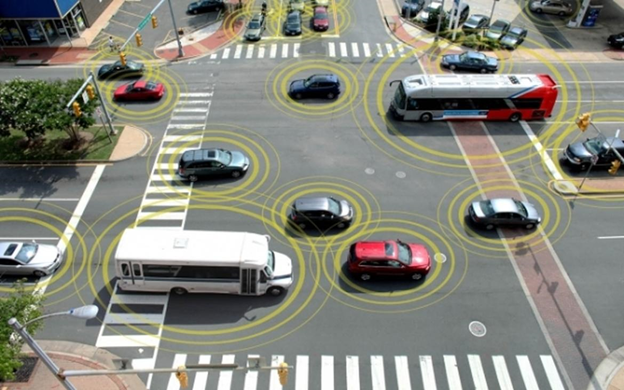 Driverless vehicle technology isn't simply for convenience or safety. It's possible for those who are completely unable to drive themselves to realize the freedom of "one's own wheels" through autonomous vehicles. Some think the trade-off of fewer drunk, unskilled, or distracted drivers outweighs the potential drawbacks of non-human road interactions. The ongoing revolution of Internet of Things (IoT), together with the growing diffusion of robots in many activities of every day life, makes IoT-aided robotics applications a tangible reality of our upcoming future. Accordingly, new advanced services, based on the interplay between robots and “things”, are being conceived in assisting humans. Nevertheless, the path to a mature development of IoT-aided robotics applications requires several pivotal issues to be solved, design methodologies to be consolidated, and strong architectural choices to be discussed. One such field which can benefit from that sort of attention is the Transport industry. Traditionally, the vehicle has been the extension of the man's ambulatory system, docile to the driver's commands. Recent advances in communications, controls and embedded systems have changed this model, paving the way to the Intelligent Vehicle Grid. 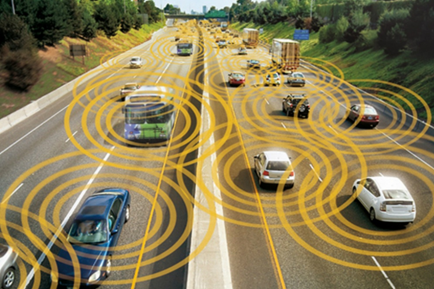 The car is now a formidable sensor platform, absorbing information from the environment (and from other cars) and feeding it to drivers and infrastructure to assist in safe navigation, pollution control and traffic management. The next step in this evolution is just around the corner: the Internet of Autonomous Vehicles. For a more detailed explanation of how the concept of autonomous cars was born and how it plays a major role in the Internet of Things, read through the following references.